As cash management practices progress and the economy becomes increasingly globalized, it was only a matter of time before automation took over bank accounts and credit cards. The long and short of it is that automation is more efficient and more accurate than manual management — two things that are very important in finance. Traditionally, the accounts payable (AP) process has been managed manually, an approach that is both tedious and prone to error. The lack of efficiencies in the laborious systems often led to enormous risks and even bigger implications in the event of human error. Consequently, the transition from human resources to automation has been welcomed on many levels. Virtual AP solutions are capable of optimizing payables with transparency, expediency and accuracy. Robust AP solutions, such as the electronic payments solutions offered by WEX, have the ability to leverage payments, data and technology. Transitioning to safe and secure electronic payments is designed to lower cost, mitigate risk, and optimize discount administration and buyer/supplier collaboration. These virtual AP solutions reduce manual processing costs and improve invoice reconciliation reducing time spent on these tasks and therefore allowing fiscal savings to be made. With a bank agnostic framework, the payment is streamlined which saves time and eliminates external inefficiencies. The increased controls and visibility offered by a virtual AP system helps to mitigate risk internally and prevents potential fraud externally. By implementing these systems and tools, your financial supply chain will achieve margin improvements and discount advantages from optimized payables. Virtual AP providers often develop strategic partnerships with payment companies like Mastercard® in offering a payment solution, enhanced by the power and credibility of the Mastercard payment network that offer an already efficient and seamless way to pay for invoice-based spend. These virtual AP programs go much further than the traditional models, providing more flexibility and a variety of options, as well as the security and efficiencies expected from virtual cards. Buyers want an efficient and seamless way to pay their suppliers for invoice-based spend, and are most likely to get that service by using virtual cards. 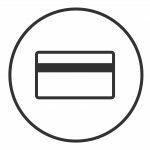 Virtual cards offer buying companies access to broad acceptance via the Mastercard payment network, along with highly customizable security controls. This, coupled with strategic supplier enablement, can facilitate accelerated supplier participation for maximum program results. Almost all companies use some form of an ERP (accounting) system to help manage AP – and they want a seamless way to process their payables liabilities, regardless of payment type (check, ACH, card). While very few financial institutions or third-party software providers offer a seamless and automated way to support these payments, smart integrated payables solutions can provide a comprehensive way to process supplier payments, regardless of payment type. 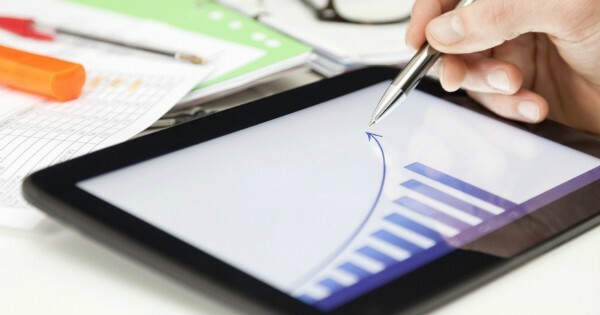 At the same time, as businesses seek to improve cash flow, supplier terms management can be a valuable strategy to improving and optimizing the cash conversion cycle, which can ultimately help improve both the income statement and balance sheet. Virtual AP and managed payables solutions can leverage the value of terms management by delivering a seamlessly integrated, fully automated solution using all payment modalities – including virtual cards, EFT with discount administration, or check – that will connect buyers with their suppliers through a simple pay file integration. Managed payables reduce manual processing and facilitates comprehensive supplier/terms management to maximize margin improvement, efficiency and control for powerful payment optimization. Virtual payments are one of the primary solutions that will improve the efficiency and effectiveness of the AR and AP process. A virtual card number (VCN) represents the details of the remitter and typically translates that information for the corporate customer’s account statement. A VCN provider information to facilitate the automatic reconciliation of payments, saving time compared to manual reconciliation. This also reduces the number of disputed entries and allows for better settlement processes and thereby a reduction in the number of debtor days. The minimal amount of manual inputs not only reduces error rates, but also improves debtor management and cash flow for the company. The electronic processing of invoices and payments facilitates improved operational efficiencies. Printing resources requirements are reduced, causing less wastage. Electronic payments, transfers and automatic deposits are not just for the convenience of the consumer. Businesses can take advantage of these electronic payments for all the reasons that virtual AP offers, including lower processing cost, internal control with automated account reconciliation and mitigated risk by alleviating the paperwork. While VCNs are a fairly new method of payment within the context of business payables, corporations are seeing the benefit of using VCNs in place of ACH payments and checks. A recent article in Forbes stated that according to multiple finance experts, virtual cards could eventually become ubiquitous in the B2B environment, and for good reason. Virtual cards are cheaper to process than paper checks or ACH, they are also considerably more secure and can in some case provide cash back or rebates to generate revenue. “Virtual credit cards generate cash rebates for the companies that use them, while also adding an enhanced level of security and fraud protection to the accounts payable process,” says Tom Rogers, CEO of Vendor Centric, a consulting firm that helps companies manage and mitigate risk from working with their vendors. Virtual Accounts. The Panacea For Accounts Receivables! How Can Virtual Accounts Streamline Your Collections?